Mahindra Truck and Bus : Outperformer. Made for the road and for the stage. Outperformer. Made for the road and for the stage. 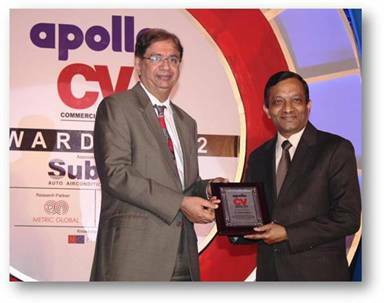 Winning an award for your outperforming efforts is truly rewarding. But what makes it all the more special is, to win it twice in a row! Mahindra Navistar, for the second time, has won the ‘HCV Truck of the Year’ award for its variant MN40 in the Prime Movers category at the recently held Apollo CV Awards 2012 at Mumbai. 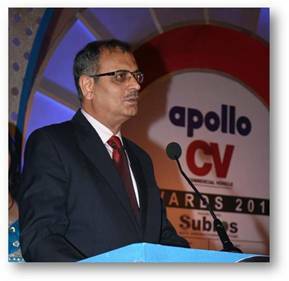 The Apollo CV awards, hosted jointly by Apollo Tyres and CV Magazine every year, are one of the very few Awards held by the Trucking Fraternity to recognize and reward excellence amongst Commercial vehicle. 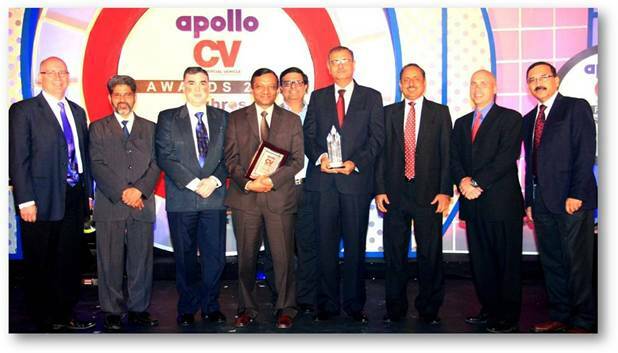 This was the third year of the coveted Apollo CV awards aimed towards recognising superlative efforts of Commercial Vehicle and Ancillary makers. The Apollo CV Award is a very significant one and all the key players from the Indian Trucking participate in the Awards, making the win for Mahindra Navistar all the more special. Present at the Award Ceremony were the Mahindra Navistar MD – Nalin Metha, Nandu Khandare and Jim Pirie, to collect the award on behalf of the entire Mahindra Navistar Team. 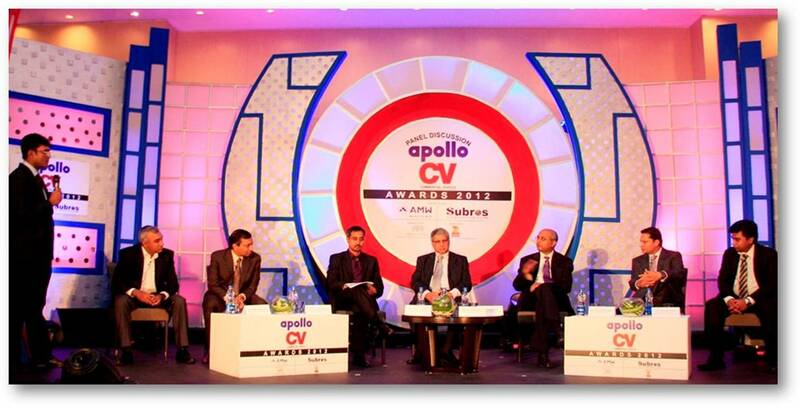 This year was special for the Mahindra Navistar Team, as they have achieved twice as much at the Apollo CV Awards 2012! Dr. Pawan Goenka, Director, MNAL and President – AFS, M&M, was declared as the CV Man of The Year at the Awards. 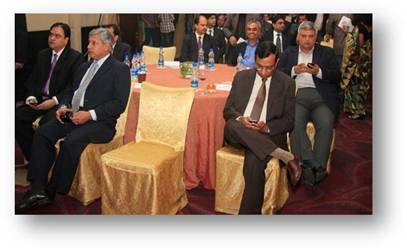 The above two awards are no mean achievement and in fact are a culmination of the excellent work that Team Mahindra Navistar has put for over five years. 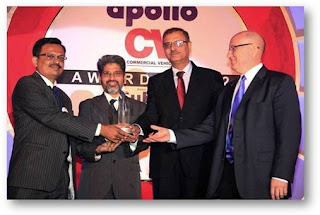 And receiving one of the most respected Awards in the Indian Trucking only fuels the Mahindra Navistar further for excellence and outperformance. 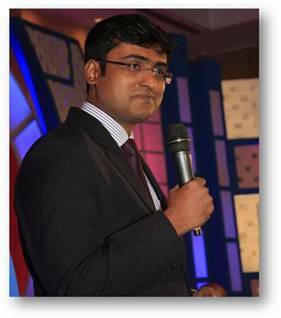 All in all, an evening where Mahindra Navistar was the clear winner! 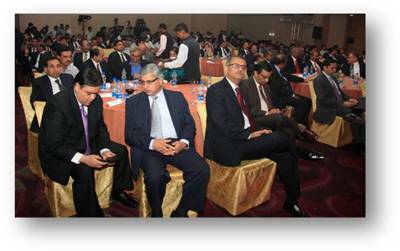 The Awards function was preceded by a Panel Discussion on the Commercial Vehicle Industry issues. 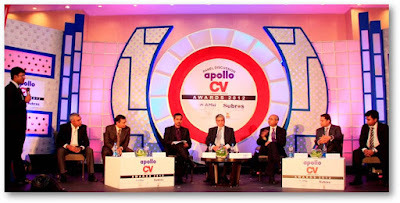 Dr. Goenka, along with Ravi Pishrodi, TML, Dr. Sumantran, ALL, Mr. Anirudh Bhuwalka, MD, AMW, Mr. Akash Passey, MD, Volvo Buses, Mr. Sharma, Apollo Tyres and Mr. Ramkrishnan, Frost & Sullivan Market Research were on the Panel. 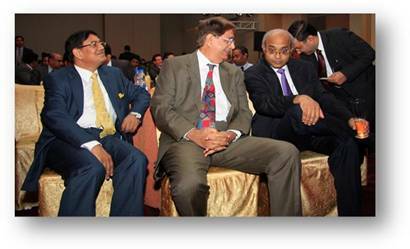 In Nov 2007, Mahindra & Mahindra, India’s fourth-largest automotive manufacturer signed 51:49 joint venture with Navistar International Corporation’s operating company, International Truck and Engine Corporation; North America’s largest combined commercial truck, school bus and mid-range diesel engine manufacturing and marketing company and is in the process of addressing every segment of the commercial vehicle market from 3.5 tonne GVW to 49 tonne GVW/GCW with variants of passenger transport, cargo and specialized load applications.